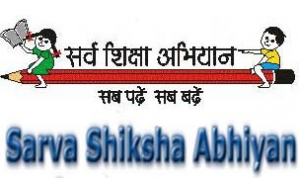 Sarva Siksha Abhiyan (SSA) Recruitment 2019: Sarva Siksha Abhiyan has recently publish an advertisement notification for Accountant / Head Cook & Assisant Cook etc. Posts vacancies jobs opening for December 2019. The SSAnotification for the Accountant / Head Cook & Assisant Cook etc. Posts, candidates who are interested may apply in the prescribed application format on or before 23-01-2019. The total vacancies in Sarva Siksha Abhiyan (SSA) Accountant / Head Cook & Assisant Cook etc. post details are given below. Last Date for Submission of Application: 23-01-2019. The minimum educational qualification for SSA Recruitment 2019 for the Accountant / Head Cook & Assisant Cook etc. posts is given below. Candidates should possess Full-time graduation Sc/ BA+B.Ed for S.No-1 & 2, B.Com with Computer Knowledge for S.No-3, 7 th class with cooking experience with well conservant to use of LPG for S.No-4, & 5, HSC for S.No-6 & 7. (Please check full details in the advertisement).